personality to a room . 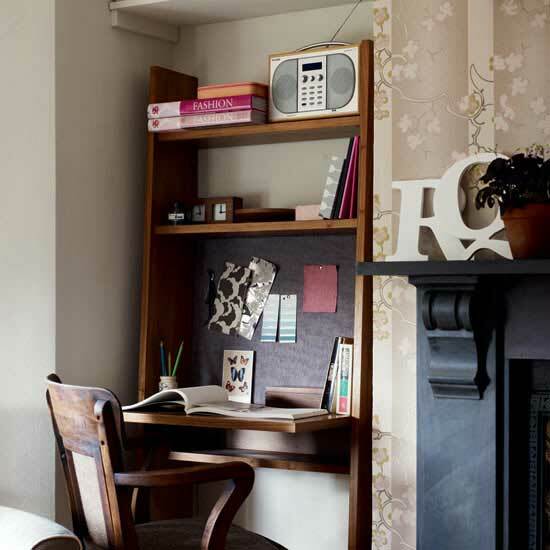 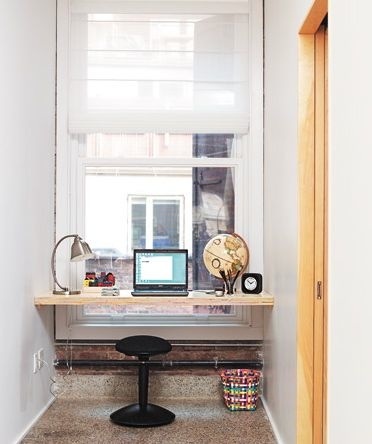 This is genius-I luv the extra deep window sill as additional storage space. 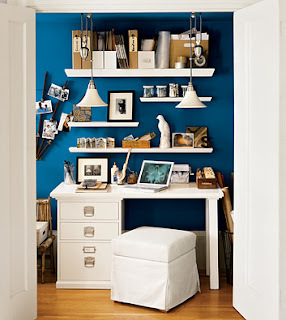 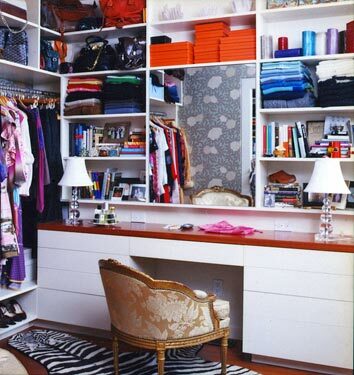 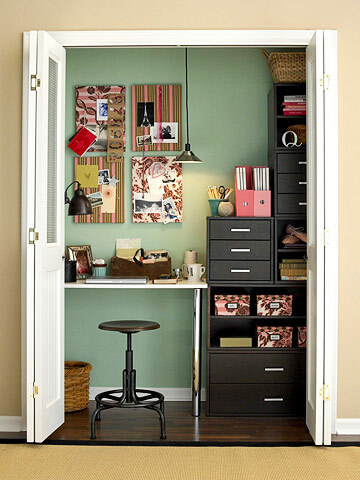 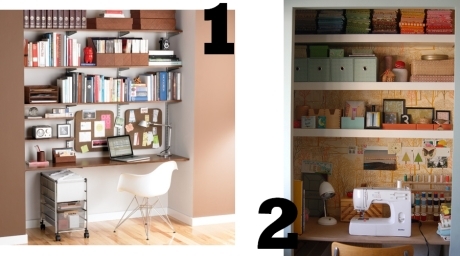 This closet is large enough to double as a home office. 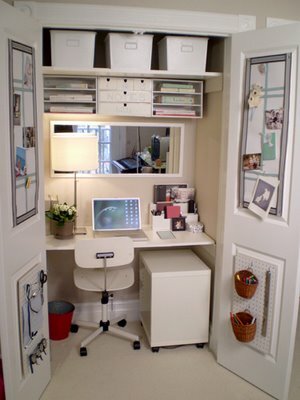 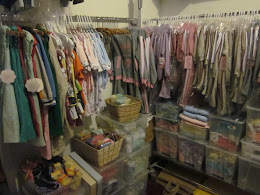 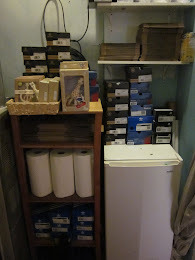 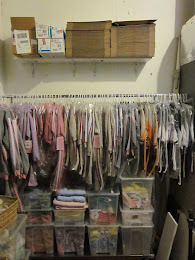 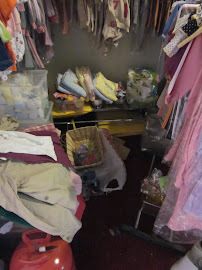 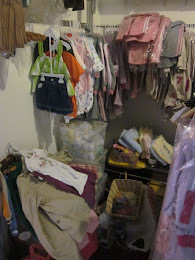 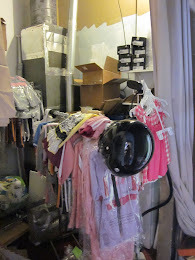 If you create an office from a closet, generally electrical is installed. 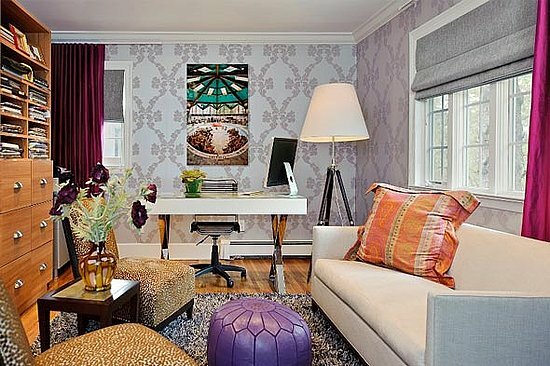 Hanging the pendant light from the ceiling saves desk space and makes this space feel complete. 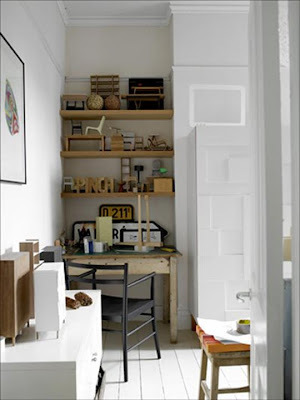 The leaning shelving are great for small space-I like the magnetic board customized to fill the space and use for additional storage. 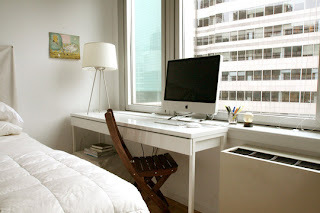 Valuable information in your blog and I really appreciate your work and keep it up dude I really very informative blog about the small home office nice work.